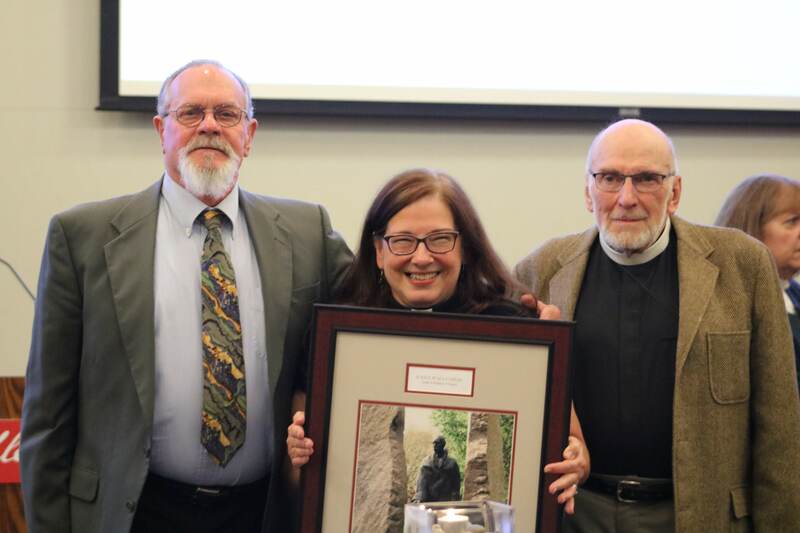 On October 14, The Institute for Jewish Christian Understanding at Muhlenberg College honored Deacon Elizabeth Miller with the Wallenberg Tribute Award at their annual Wallenberg Tribute Dinner. Miller serves as a deacon at Trinity Church in Bethlehem. The award is named after Raoul Gustaf Wallenberg, a Swedish diplomat who saved tens of thousands of Jews in Hungary during the Holocaust. Wallenberg was arrested under suspicion of espionage and reportedly died in Soviet custody in 1947. The award is given each year to honor local individuals who have displayed “courageous moral action on behalf of others.” Miller received this award for her work as coordinator of Trinity Bethlehem’s Soup Kitchen.